Samsung and Dropbox have announced that buyers of the Galaxy Note II and Galaxy Camera will be getting a whole lot of storage love. With the Galaxy Note II and Galaxy Camera on the way, and oodles of way to create content, you're going to need a way to store all of it. 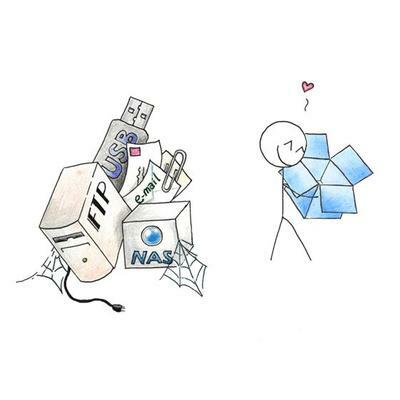 Dropbox to the rescue! Those who purchase the newest two products from Samsung will find Dropbox has been pre-installed and they will enjoy two free years of 50GB of cloud storage. There is, however, a caveat in that carriers could decide they don't want it included on their versions of the devices. So while this is an awesome deal, don't be surprised if you go to pick up a Galaxy Note II and find it missing. SAN FRANCISCO–(BUSINESS WIRE)–Dropbox, a free service that lets you bring your documents, photos and videos everywhere and share them easily, today announced an integration with the recently released Samsung Galaxy Camera and Galaxy Note II. With these integrations, Dropbox users can now enjoy a seamless content syncing experience across all Samsung devices.